Trivandrum, 19 October 2012: It was high drama at the Trivandrum International Airport as the pilot of the Air India Abu Dhabi-Kochi flight triggered a hijack alarm after passengers raised protest against the aircraft staff. The Kochi bound Air India flight scheduled to land at 3:30 am at Nedumbassery airport was diverted to Trivandrum due to bad weather. The passengers of the aircraft which landed at Trivandrum airport were denied the flight to Kochi as the airline authorities asked them to travel by their own measures. This resulted in wide protest among the passengers. The pilot and the other staff alleged that four passengers entered into the cockpit and demanded to fly the plane to Kochi. This caused the pilot to press the hijack button which alerted all airports in the country. The aircraft was then surrounded by CISF personnel and the condition was later pacified as the passengers were assured to fly to Kochi in the same flight with a different crew. 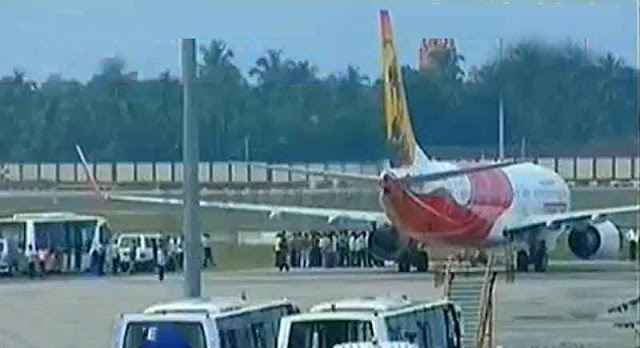 When the plane landed in KOchi, six passengers were detained at Kochi airport for enquiry and they were released later.